Hello Blog Hoppin' friends! This is Lidia from Kinder Alphabet. I know that our return to school can be a little stressful. Just to make things a little easier for you, I have decided to blog about some freebies that you might like during this time of year. These will help you keep a class roster which includes student name, phone number, transportation home and a section for brief notes. 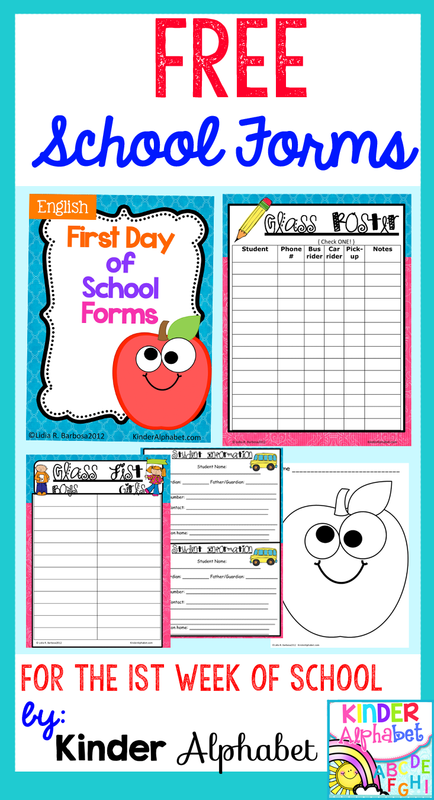 It also includes a class list and student information forms. These may be placed in your lesson plan binder and/or in your substitute folder for quick reference. Our little ones do not always make it to the restroom on time. Sometimes we have to run around looking for a change of clothing or call parents to bring clothes to school. 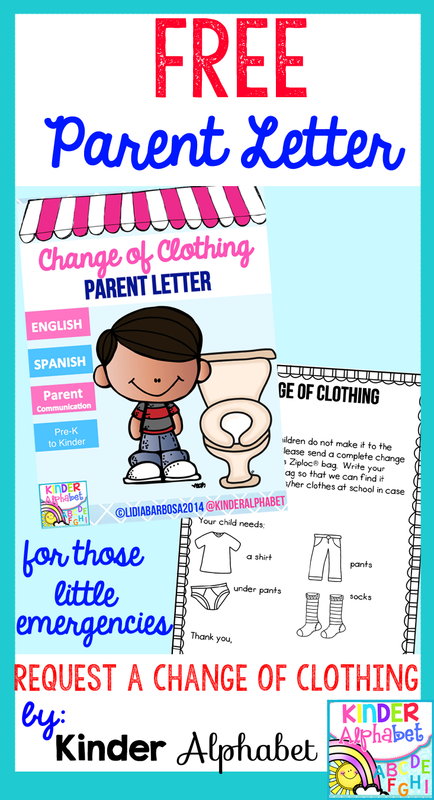 With this parent letter, parents will know that they are to send a change of clothing to school for these little emergencies. These are some fun printables to go along with the story of the Kissing Hand. I love to read this book on the first day of school. Students love the story of Chicka Chicka Boom Boom. 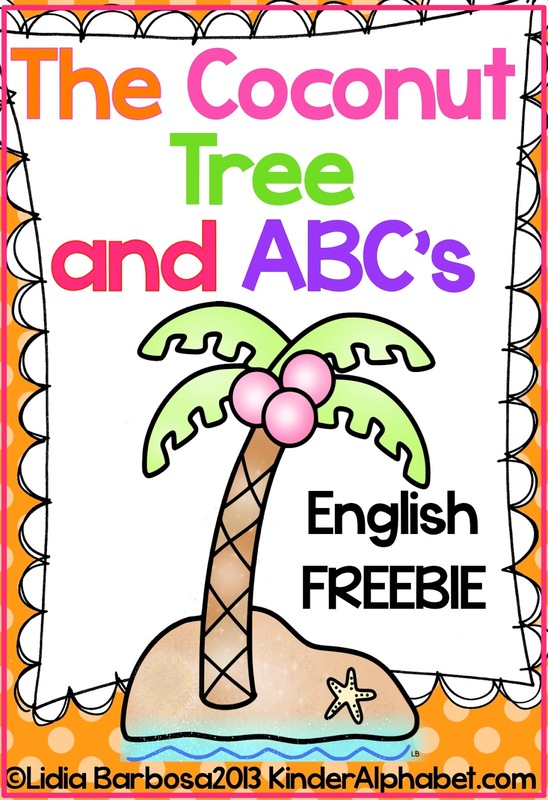 This activity will help students practice match upper and lowercase letters.